If you are interested in a sermon or series not listed here, please contact our office. On one occasion the disciples came to Jesus saying, “Lord, teach us to pray,” Jesus then responded offering a simple template for prayer, known to us today as “the Lord’s Prayer.” During this season of Lent leading up to Easter we look at a different line from the Lord’s Prayer and examining how it informs our understanding of prayer. 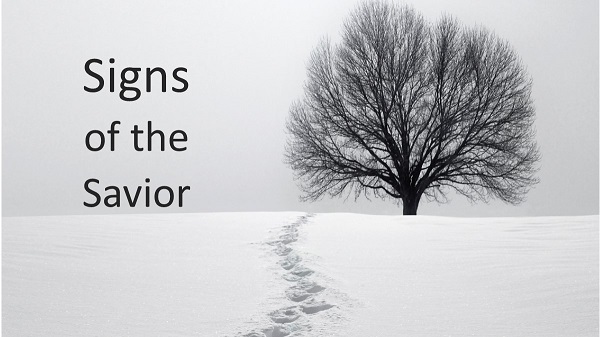 Throughout the four Gospels, we find many signs indicating that Jesus is unlike any other person. He came performing miracles—healing the sick, driving out demons, raising the dead, in addition to other acts of power over creation. All told, the Gospels record at least 37 detailed miracles of Jesus, but in John’s Gospel we read that these works are just a fraction of all that he performed and that “the whole world would not have room for all the books that could be written” (John 21:25). During this season known as Epiphany (which means “manifestation” or “appearance”) we are looking each week at a different miracle of Jesus and how these signs point to the significance of his coming.